It’s been said that Christmas is the most wonderful time of the year. How can it not be? Everyone is in good spirits; classic Christmas tunes fill the stores as everyone shops for their loved ones. It’s not unheard of to experience a Christmas miracle every now and again. It is a season made for children; seeing the joy on their faces when they open their presents on Christmas morning. Children smiling and laughing anxiously as they wait in line to see Santa so they can tell him all they want for Christmas. As a child I looked forward to Christmas, but not with the same enthusiasm as my classmates and friends had; Mom-ster hated the holidays, and as a result, my family and I never had the kind of Christmases others had. I think she wanted the family to be as miserable as she made herself. Happiness is a decision Mom-ster never opted for. Mom-ster put Ebenezer Scrooge to shame. I can only recall a handful of times that we had a tree and decorated it when growing up; Mom-ster didn’t like the reminder of peace on earth and goodwill towards men. Those rare times we did have a tree, dad put it up on Christmas Eve and took it down immediately after Christmas. I revel in putting up and decorating my Christmas tree every season now that I am older, sometimes leaving it up until after New Year’s. As a child, when the holidays would come upon us, dad would take Mom-ster and I shopping, dropping us off in front of the stores she wanted to go to sales at. I remember this one particular time, I was ten years old and we went to K-Mart; they had a huge sale on Barbie dolls. I had my eyes on Prom Date Barbie; she wore this beautiful pink and purple sequins and satin gown with a ruffle wrap that you could wrap around Barbie in a number of different ways. I couldn’t believe Mom-ster was letting me get a Barbie! I was so overjoyed and couldn’t wait to get home to play with my new toy. Once we got home, I waited for Mom-ster to unpack the bags and give me my new Barbie. 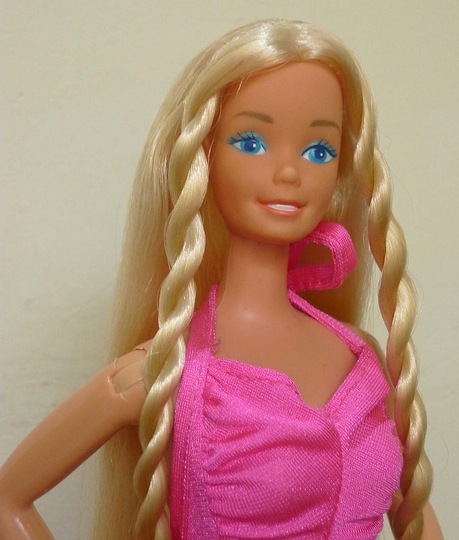 It wasn’t that often I got a new Barbie – most of my Barbie’s were bought second-hand at the flea markets, I only got new ones for birthdays and Christmas, if I was lucky. I grabbed my new Barbie from the bag as soon as I saw it; Mom-ster smacked me and took it back. “That’s for Christmas! You can’t have it until then!” Christmas was over two weeks away at that point; that was like an eternity for a ten-year old. When Christmas Eve finally arrived, I went with my dad to the local fire station that sold real trees as a fundraiser; dad bought one of the misfit leftover trees for $5. 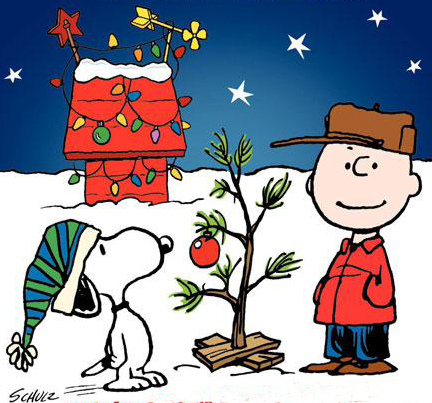 I felt like Charlie Brown with his sickly little tree from A Charlie Brown Christmas, decorating it carefully as to not make it fall or lose needles. That was the last Christmas I remember not only having a tree, but believing in Santa. The fun of Santa got ruined, not by my older brother and sister, but by Mom-ster. 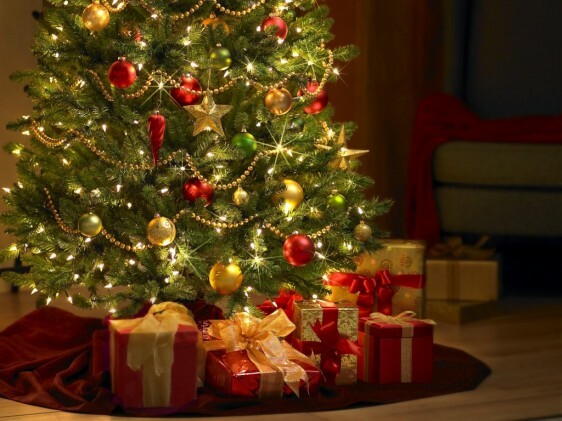 When I woke on Christmas morning and I saw the amazing tree all decorated and beautiful, I was awestruck. Dad worked his magic with that tree after I went to bed; he said it was a Christmas miracle and that Santa brought our little tree to life. Dad and surprisingly enough Mom-ster, were up to watch me open my presents; that was a rarity, as Mom-ster usually spent holidays locked away in her bedroom. I started unwrapping my gifts: books, coloring books and crayons – I saved the boxes that looked like Barbie’s for last. I unwrapped my first Barbie, Twirly Curls Barbie; I was so happy because she was on my list to Santa. Next was Dream Date Barbie, followed by Angel Face Barbie – both I had picked out in the stores. I couldn’t decide which Barbie I would open and play with first, so I lined them up to play “eenie meenie miney mo”– that’s when Mom-ster took my new Barbie’s away. I was devastated. Here it was Christmas morning and I couldn’t even open and play with my new Barbie’s that I had not only picked out, but wanted badly to play with. I not only had no Barbie’s to play with, but now I found out there was no Santa. Worst Christmas ever as a child. I’m betting the only reason Mom-ster was up to watch me open my presents was to take them away from me. Within a half an hour she was back in her bedroom watching TV, while dad started cooking our Christmas dinner. A few days after Christmas, Mom-ster and dad decided they were going to hit the after Christmas sales; I asked to stay home and surprisingly enough, they let me. I walked out of my bedroom and made my way down the hall to the kitchen – there staring at me in the open hall closet were my Christmas Barbie’s. Consequences meant nothing to me at that moment – I did what any Junior Rebel of ten years old would do – I grabbed my Barbie’s, went back into my room and opened all of them. What a rush! I was so excited to play with Twirly Curls Barbie; I wanted to be able to do my hair pretty like that, but Mom-ster had my hair chopped off into a “Princess Diana” short haircut. I wrapped Dream Date Barbie’s dress in every way I could come up with. All of my Barbie’s were beautiful princesses. Mom-ster didn’t notice for almost a week that I took my Barbie’s out of the closet; when she did notice, I got the verbal beating of my life, up until that point. Being only ten, I was upset and cried, but my sadness was short-lived. I ran back into my room, picked up my Barbie’s and played to my heart’s content. It was worth every soul crushing word she served me.